Recent medical progress has overcome many, sometime fatal, complications of acute and chronic neurological disorders, in the process resulting in a large population of patients who survive spinal cord and head injuries, strokes, or advanced forms or paralysis due to cerebral palsy, multiple sclerosis, and other motor disorders of the central nervous system. Some of these patients can benefit from comprehensive rehabilitation programs and lead independent and often productive lives. Others live confined and dependent lives in special care facilities or their homes. They are indeed the ‘veterans of contemporary medicine’. 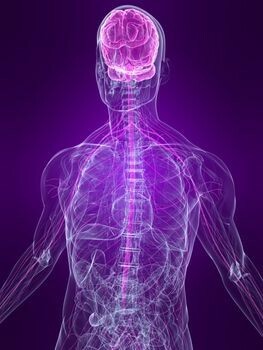 Restorative neurology is defined as the branch of neurological sciences which applies active procedures to improve functions of the impaired nervous system through selective structural or functional modification of abnormal neurocontrol according to underlying mechanisms and clinically unrecognized residual functions. The International Society for Restorative Neurology (ISRN) is an outcome of several generations of work in the new field of Restorative Neurology. The ISRN will provide an international collaborative network of those who have a desire to move the field forward. This collaboration will include individuals with a wide spectrum of expertise including physicians, therapists, scientists, engineers, educators and philanthropists, among others. It will provide a framework to help coordinate and regulate activities that are currently disorganized in order to standardize the practice of Restorative Neurology. The ISRN will foster an environment that promotes understanding of current and future advances in the field; encouraging the pursuit of underlying mechanisms and promoting the assimilation of these interventions into their proper clinical context. The ultimate goal of the Society is to direct the field in such a way as to promote patients’ confidence in the theory, methods and clinical indications of a restorative neurology approach to amelioration of their neurological deficits.